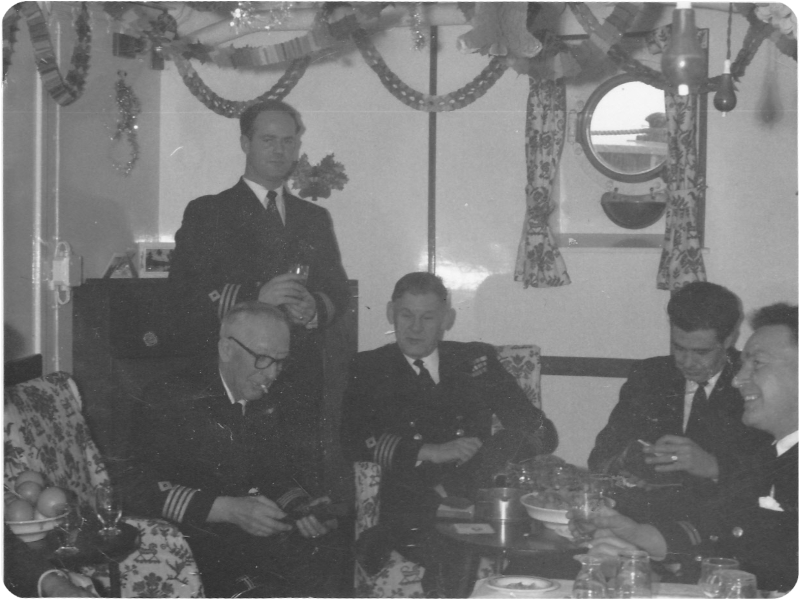 RFA Warden, Christmas - probably 1962 taken by John Hargreaves (Chief Officer). Pic includes the Chief Engineer Dicky Daw, Capt Frank Murray, standing First Officer and two engineers, names forgotten. Maybe you can tell us?